A discussion of solitude, loneliness and the importance of understanding death when looking at the art of living trees. I have been raking through my old hard drives looking for pictures and stuff for the website renewal that I gave up on and asked someone else to do, and I found this file. I wrote it in November 2007. Thankfully I never published it anywhere (I don’t think). I think I must have been a bit miserable at the time. 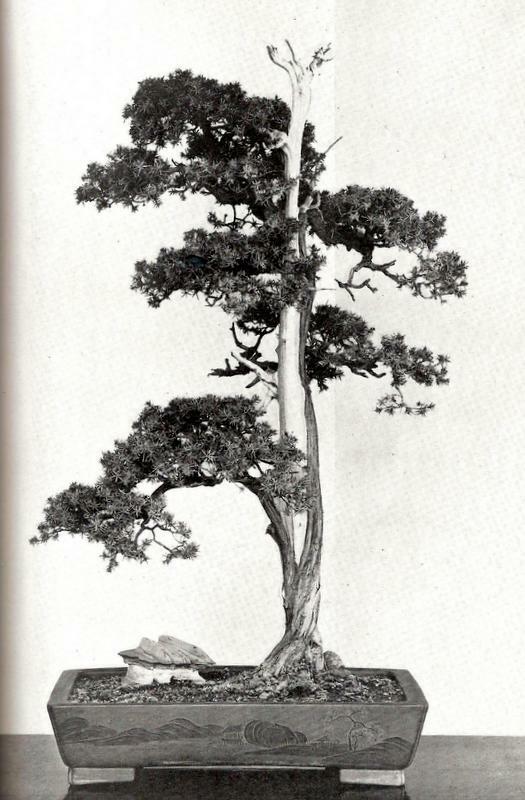 If one were to ask most Western Bonsai enthusiasts to name the top three Japanese professionals then the chances are they would name Kunio Kobayashi, Masahiko Kimura and Shinji Suzuki. All three have similar things in common, multiple award winners, superb technicians and visionary artists. Another less obvious bond links these three contemporary greats together; suffering. Each man has gone through painful difficulties in their personal lives, some are well known and publicized, others not so. This is not the place to discuss the detail of their sufferance but it gives us an insight into the Bonsai aesthetic and what makes their trees stand out from the crowd. All three are first generation Bonsai artists, self made men, driven by a burning passion inside which is fuelled by pain, deprivation and in many ways loneliness. 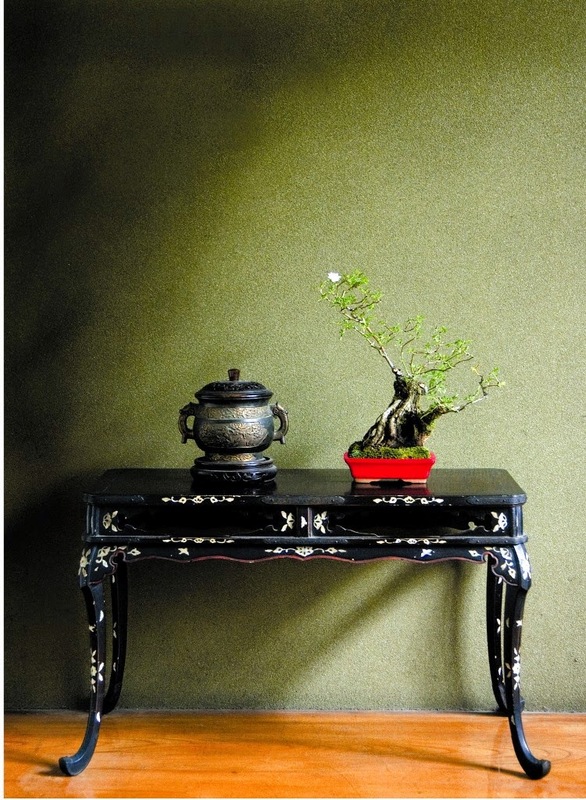 Asking the question “Where do we draw the line between a tree in a pot and a bonsai?”, leads us into a discourse regarding, beauty, aesthetics and the very nature of life itself. Traditional Western aesthetics could be described as the combination of many to create an exquisite whole, layer upon layer of oil paint on a canvas, a vase full of blooms creating a medley of colour and fragrance. It draws us in, inviting us to be part of the landscape, making us feel warm and alive. 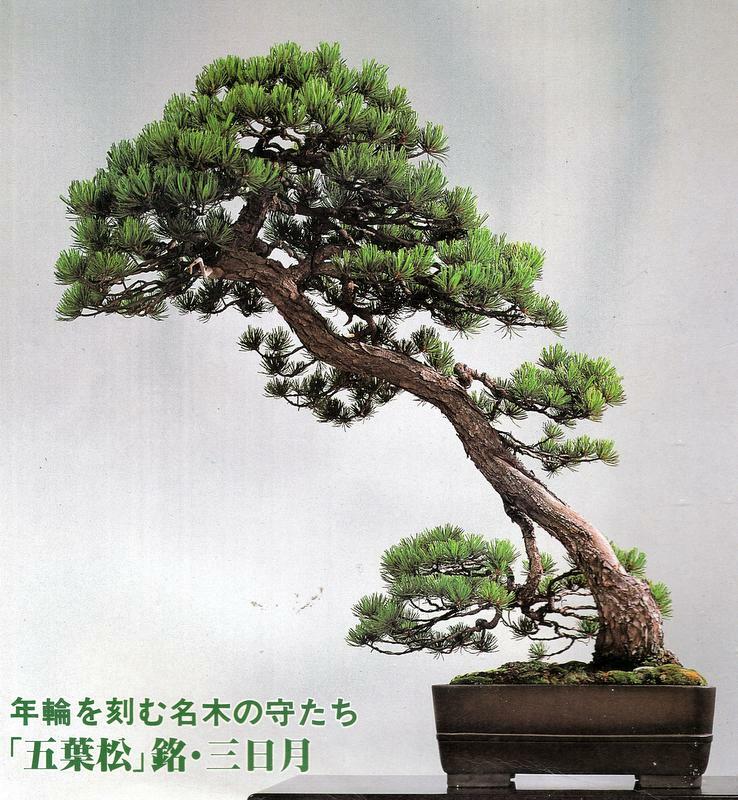 Diametrically opposed to this is one aspect of the Japanese aesthetic and one which is of absolute importance in creating meaningful bonsai. We must remove all that is unnecessary, stripping away layer after layer until we are left with the essence of the subject. A single flower in a vase, a seventeen syllable poem or a simple cup of tea. Unlike Western gardening, Bonsai comes not from what we add, but what is taken away. The ideal literati tree should create a feeling of solitude in the viewer. Rather than being welcomed into the image and feeling warm, it should make us feel cold and hungry, just as the tree feels, having grown in a harsh environment battling against the elements and deprived of fertile soil. It should not make us unhappy or uncomfortable, solitude should not be confused with such negative feelings; solitude, a personal choice as opposed to the imposition of loneliness is, by implication incredibly liberating. It is an escape from the ties that bind and the pressures that restrict. When viewing the perfect tree we stand alone, like the bunjin centuries before us, on a distant mountainside, far from the madding crowd, free from society and most importantly free from ego. The last statement implies a high level of empathetic understanding in the viewer; without a personal appreciation of suffering it is almost impossible to transpose oneself to the same place that the artist seeks to represent. In classical terms this is pathos at its most intense level, by observing a tree which appears to have existed on the knife edge between life and death we are made aware of the transience of nature and the fragility of life. Only those who have a personal relationship with death can truly appreciate life, without knowledge of the dark there is no light. A key theme of bonsai is the cyclical relationship between life and death, rebirth and regrowth, one which recurs throughout Japanese aesthetics and philosophy, particularly in one area which the West has an unhealthy obsession with, the Samurai. In focusing upon the supposed fierce loyalty and barbarity of the warrior class we fail to appreciate that many had a serene acceptance of the ephemeral nature of the universe, an understanding of the profundity of life and conversely, the inevitability of death. Many Bonsai artists both in Japan and the West, including myself, struggle to identify this concept in their creations because of our difficulty in accepting death and the surrendering the self. Only through introspection on the nature of life and a move away from reason and the head can we truly move to a new level of Bonsai, particularly in the logic obsessed West. The question we must ask ourselves is how can reflect our experience and understanding of death in the unique living art form of Bonsai?